Written and directed by the Dardenne brothers, Jean-Pierre and Luc, Two Days, One Night is a Belgian drama that stars Marion Cotillard (Inception, The Dark Knight Rises) as a worker in a solar panel factory in a French speaking town in Belgium. In the film, Cotillard’s character Sandra, is a young mother and wife who has missed a lot of work due to illness. While she is off recuperating the company she works for realises that they can meet their production quotas with one less worker. 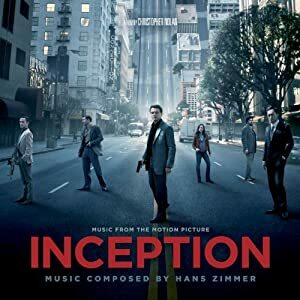 Written and directed by Christopher Nolan Inception is a masterpiece of a movie. It features an all-star cast and has so much chopping and changing of plots and action that you begin to feel like you’re watching a movie version of the game Twister. Pete Postlethwaite, Dileep Rao, Tom Hardy, and Lukas Haas. A pretty impressive group by anyone’s standards. The budget for this film was 160 million dollars and the box office return was in excess of 825 million dollars making Inception a real blockbuster film with a capital B. The basic (as basic as you can get in this film) is that Cobb (DiCaprio) is a dream thief. He is in exile from America as he has been accused of murdering his wife and he is unable to see his children in Los Angeles as a result. The irony is that this dream thief dreams constantly of returning home and seeing his kids. The target, a business conglomerate, owned by tycoon Maurice Fischer (Postlethwaite) who is dying and leaving it all to his son Robert (Murphy). Saito wants Cobb to plant the idea through Robert’s dream state that his father really wants him to sell the conglomerate off and make his own fortune. Cobb’s ‘business’ partner Arthur (Gordon-Levitt) says it is not possible. Cobb maintains that it is. He and his deceased wife Mal (Cotillard) had practised this. Unfortunately it is very dangerous and we learn that this was how Mal died. Although Arthur decides to help Cobb he is not convinced that they can do it safely. Cobb must now come up with a new powerful dream ‘architect’ because this was Mal’s job before she died. Ariadne (Page) is recruited via Miles (Caine) Cobbs father-in-law. He then gathers the rest of his team; Eames (Hardy) an identity forger, Yusuf (Rao) who controls the sedatives required by the team, Arthur and Saito as the mission observer. In order for the idea to be planted, the team must go into several dream states, each deeper than the previous one, in order to evade the target’s defences. And evade they must for Robert has had his brain ‘trained’ by a security company. This training allows his dreaming state to be patrolled by security guards who can spot intruders and terminate them with extreme prejudice. This is not the only hurdle the team have to overcome. It seems that Cobb’s dead wife, Mal, is alive and well in his sub-concious and she will try to sabotage their mission. The last ‘danger’ the group face is being in the dream world too long. If you go too deep and cannot be brought back, via a drop or your dream self getting killed, you will remain in the dream state forever. You can also become confused as to what is ‘real’ and what is a dream, to help each team member keep track, they each have a personal totem that behaves differently in the dream state. Cobb’s is a top that spins perpetually. So the team must go into a dream and then go into another dream and into another dream. Each dream state requires a team member to stay in that level and watch over the remaining members as they go deeper. This film looks amazing, you can see where the 160 million went. Nolan masterfully helms the many twists and turns of the verse and at no time does he leave one string dangling. My daughter and I went to see this at the cinema. We both were on the edges of our respective seats through the entire film. What The Matrix did for cinema combat, Inception does for cinema environment. Two of the film’s set pieces, ‘the exploding room’ and ‘the anti-gravity room’ were real sets. The mountain fortress was real as well, just in miniature so it could be blown up. CG was used at a minimum to help sell the shots. Nolan created these set pieces by taking a step back in the world of special effects. CGI is used for the world that Mal and Cobb created that resulted in Mal killing herself in the mistaken belief that the created world was the real world that she desperately wanted to go back to. The city in the parallel world is almost Dali-esque in it’s depiction. When Cobb and Ariadne go there to deal with Mal, it is decaying and falling into the ocean. It is like the place is eroding from lack of use and it looks disturbing. And free-fall is how Nolan sells the film so well. Remember the “dream within a dream within a dream” bit? Well, this tier system that requires a team member to stay behind in each level, starts with the first team member, who actually has everyone else with him but in a dream state, drives a van they are all in off a bridge. Cue the first free-fall. And it has a effect on the next team member who is in the hotel portion of the dream. The film only had about 500 visual effects. A very small amount for a film with so many special effects and such a huge budget. The film moves almost seamlessly between the real world and the dream world. But it does this so often that is almost like a cinematic shell game. By the end of the film you have to decide what was real and what was a dream. What ever you decide is based on your interpretation of the series of events. When the film ended (prepare yourself for the controversy) two things happened almost simultaneously, we both looked at each other and said, “Blu-ray.” We also immediately started discussing the ending and how we saw it. We weren’t the only ones either. For the first time in years, I saw a room full of people discussing excitedly the film they had just seen. The room was full of laughing, talking, and arguing people. I really can’t remember the last time I’ve seen an audience act that way after a film. I think she’s right. Just like The Matrix, Inception changed the rules and bent the rules it couldn’t change. It went so far outside the box, that the box ceased to exist. If Inception is not on the list of films to see before you die, it should be.